As a Palatine orthodontist and Barrington orthodontist, I don’t think there is anything better than seeing our patients achieve beautiful, healthy smiles. Our orthodontists and orthodontics team at Verbic Orthodontics have used braces and Invisalign to transform 1,000s of smiles and lives of patients in and around South Barrington, Barrington Hills, Lake Barrington, North Barrington, Hoffman Estates, Inverness, Arlington Heights, Schaumburg, Lake Zurich, Deer Park, Kildeer, Long Grove, Tower Lakes, Fox River Grove, Wauconda, Rolling Meadows, Palatine and Barrington, Illinois (IL). 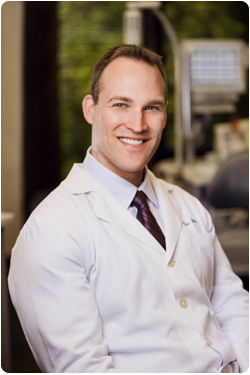 I first observed how powerful and transforming orthodontics can be in people’s lives through the work of a family friend who was an orthodontist in my hometown of DeKalb, Illinois (IL). I was inspired to become an orthodontist myself after watching him create beautiful and healthy smiles for his patients. I attended the University of Illinois at Urbana-Champaign and received a B.S. degree in Chemical Engineering with Distinction in 1999. After working for several years as a research engineer in the aerospace industry with low observables (stealth technology), I went back to school and received a D.D.S from the University of Illinois at Chicago, College of Dentistry. During my time at the College of Dentistry, I was honored to receive the highest awards for academic excellence conferred upon a student by both the Illinois State Dental Society and Chicago Dental Society. Following graduation from dental school, I attended a three year residency at the University of Illinois at Chicago and received a specialty certificate in Orthodontics and an M.S. degree in Oral Science. I am a member of the American Dental Association, American Association of Orthodontists, Illinois Society of Orthodontists, and Illinois State Dental Society. I grew up with three older brothers, one of whom is my identical twin and works as an optometrist. I live in North Barrington, and when I am not working, I enjoy doing Crossfit to stay in shape, as well as watching sci-fi movies and White Sox games during the baseball season.